Connecting academic and applied knowledge in all subject areas, including Career and Technical Education. Deadline is April 26, 2019. SUNY New Paltz’s 15-credit Intensive Teacher Institute in Teaching English to Speakers of Other Languages is designed for NYS Professionally certified teachers. Cohort beings 8/24/19. 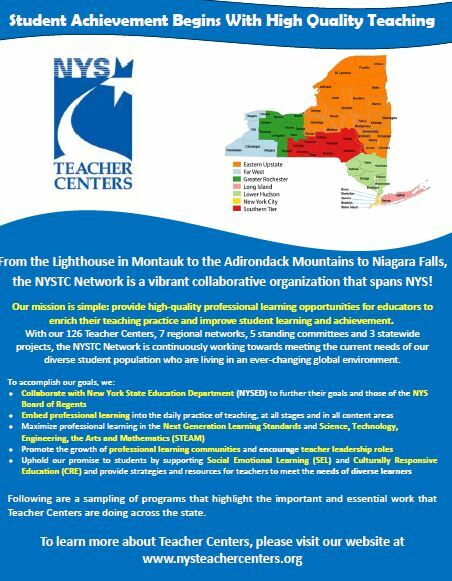 Click here to learn about the regional work of NYS Teacher Centers. 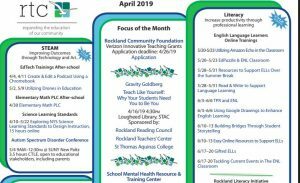 Rockland Teachers’ Center is part of the Lower Hudson Teacher Center Network.